Can be used for side-lying and as a trunk stabilizer. 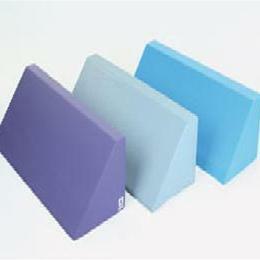 Use under thighs for pelvic tilt, or as a back board, footrest, or blanket support. Upholstered in bacteriostatic, waterproof nylon. Available color: Blue.